If you have dry skin, skip this one. It’s an easy pass. If you have normal or oily skin, it might be worth a try. Scent and Texture – I liked the scent and loved how smooth it was. 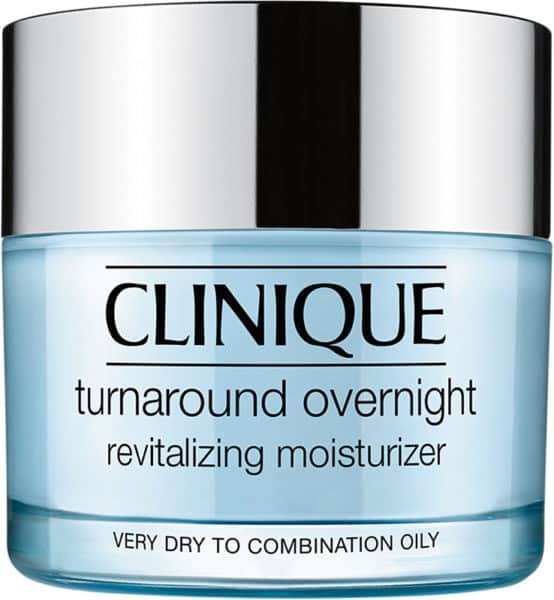 Not Quite Enough – I didn’t hate this moisturizer, but it just wasn’t enough for my dry skin. My skin didn’t feel quenched. At all. It still felt tight and anything but soft and supple. You know what I did like? Using it on top of my other overnight moisturizer as an added layer. Since I wasn’t going to use it on it’s own, that’s what I’ve ended up doing with the rest of the container. It is said to be ideal for skin types ranging from very oily to very dry, but I wouldn’t agree with that range at all. I’d say it’d be worth trying if you have normal or oily skin. However, those of you with dry skin like me, don’t waste your time. I think this is not for me since my skin is dry. They have changed and expanded their Turnaround line since I tried it when it first came out. Now I’m just confused over which one is for me. I really loved it when I first tried it. My skin felt very smooth! This review was really helpful. Too bad this wasn’t better for dry skin. I need something really moisturizing, especially in the winter.